Currently, thumbnails are only displayed in the mz3Viewer and in the Flash version; same as “bubbles” below the book and as a thumbnail image within the book. You will be able to fade in a bar with THumbnails by touching the bottom edge (or swiping upwards), which will then scroll with Wisch_Gesten. Clicking on one of these thumbnails then opens the associated page in the Mz3 book. 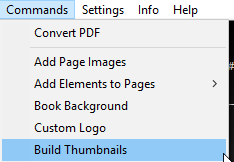 Due to the different target devices, requirements and types of Mz3 books, you will be able to set some of the thumbnails. 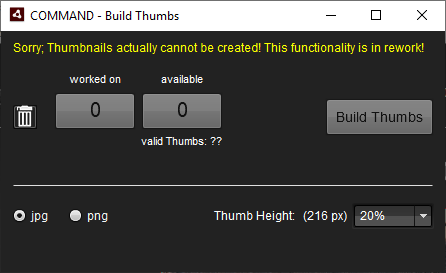 In addition, the thumbnails must be calculated / generated in advance, so as not to burden the mobile devices too much. 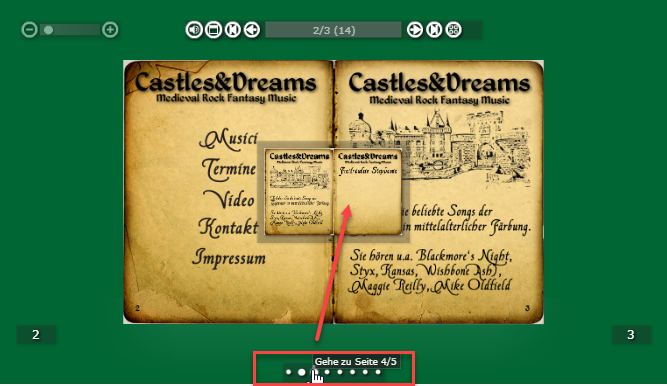 For these tasks, the thumbnail window is provided.